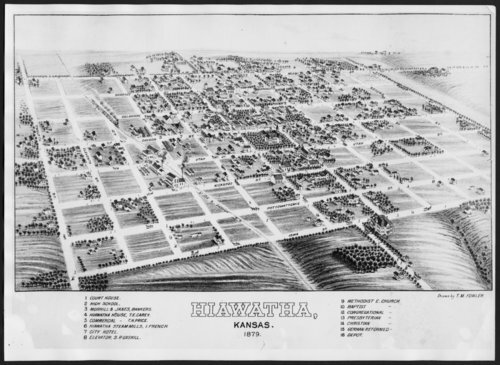 This black and white lithograph is a bird's eye view of Hiawatha, Kansas, which is the county seat of Brown County. The streets are identified while prominent places within the town have numbers associated with them. A legend is provided to identify some of the buildings.